I hope you all had a lovely Easter Sunday yesterday if you celebrate Easter, if not then perhaps you just rejoiced in the coming of spring. 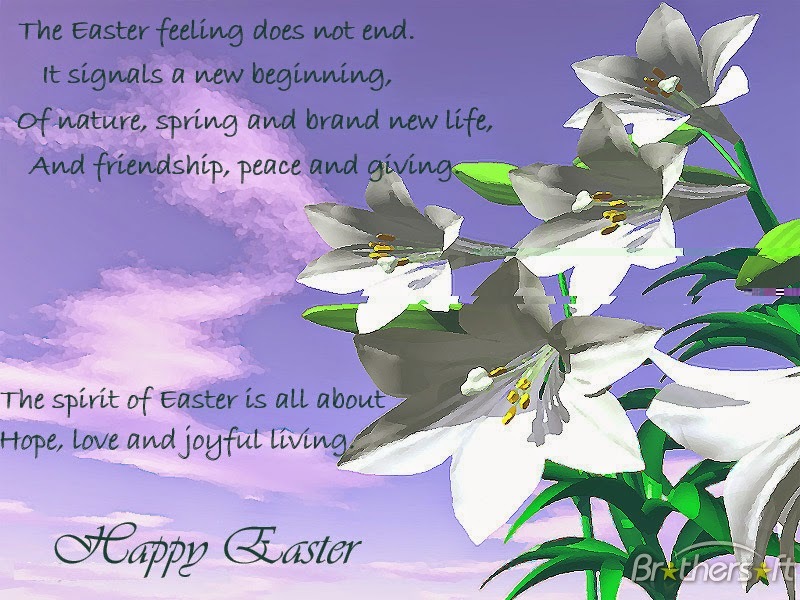 Personally, being a Christian, I rejoice in the sacrifice Jesus made for us, and Easter always seems to come with a promise of spring and rebirth. It's lovely to see the daffodils in the hedges and the primroses and violets showing their pretty little heads. I'm enjoying spending time with my doag and horses, and just being out and about in the fresh air after months spent in front of the computer slaving away at my 'Work In Progress. I'll soon be working on another writing project, but in the meantime I'm enjoying a bit of a break - and chocolate! Don't forget to visit the blog I run with some friends, 'The Author Roast and Toast' which has a new author guest most Fridays. See you then!